ID: 4398 ~ Creator: The Valley Vista Ranch Barn 2014. The barn built in the 1920’s has retained the traditional colors of barns being a red barn with white trim. 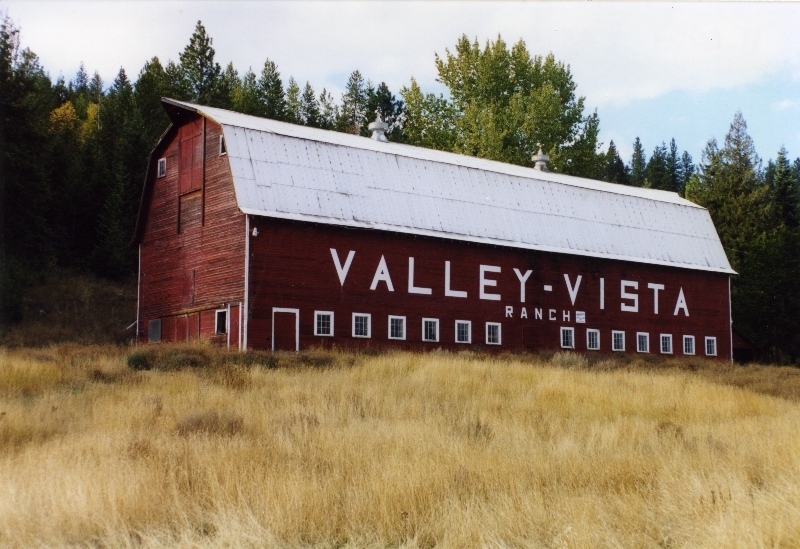 This barn sits on a slight incline between the mountain and the Burlington Northern Santa Fe railroad tracks. Courtesy of the Bonner County Historical Museum.